A few days ago we shared a documentary on the Shakespeare & Co. bookstore on Paris’s left bank. Here, just for the heck of it, is a map showing the locations of all three iterations of the famous bookshop (plus some links to the current Google Street views for each). 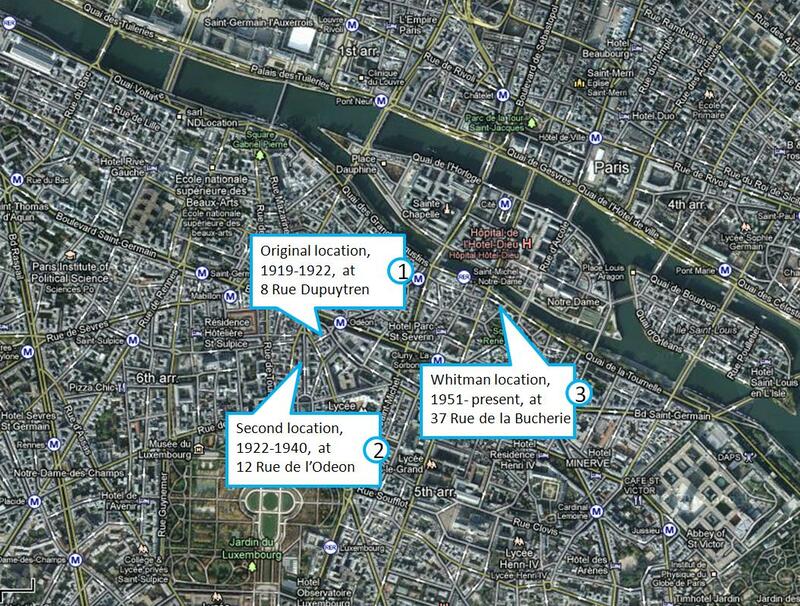 The second, larger location is just a stone’s throw away, at 12 Rue de l’Odeon. If you want, you can complement your new haircut with duds from "Moi Cani" the small shop that has taken over the space— or browse in the tiny French boostore next door at no. 10. 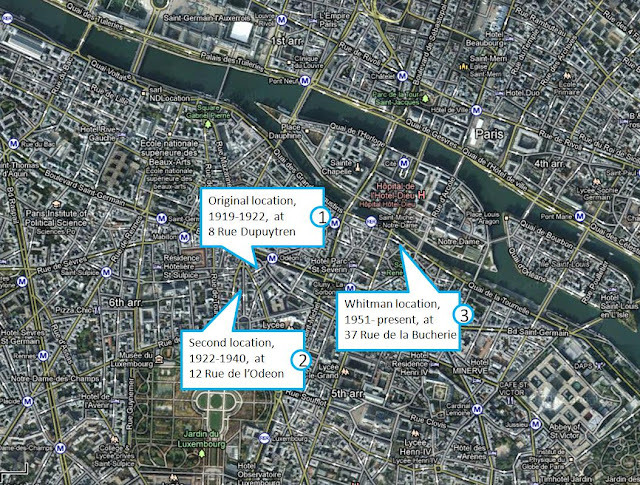 The third and current location, originally opened by George Whitman as “Le Mistral” in 1951, and re-named Shakespeare & Co. in 1964 after Sylvia Beach’s death, is just a short walk across the river from Notre Dame Cathedral at 37 Rue de la Bucherie- not on the river, but one small street beyond it. The current proprietor? George’s daughter: Sylvia Beach Whitman. Naturally!